Sharing some information from our friends at St. Nicholas of Tolentine School. The event takes place on Saturday, May 17 at Stony Creek Golf Course, Oak Lawn. 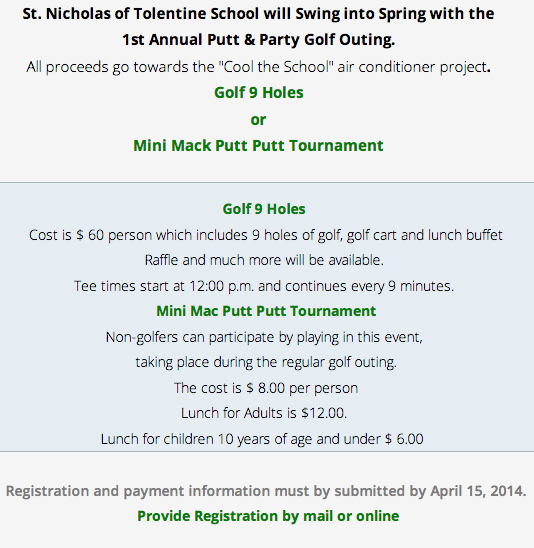 Registration starts at 11:30 a.m. A luncheon will be served at 3 p.m.
For details, visit http://stnicksschool.com/putt---party-golf-outing.html online.